Football isn’t the only fever you can catch this summer! With the Euros now well underway, the nation has been gripped in football fever (even though Scotland aren’t there!). But whilst the competition takes place in the fairly healthy France, there are many opportunities to pick up unwanted bugs and illnesses if you’re travelling further afield this summer. The most common illness people experience when going on holiday is Travellers Tummy, which causes an upset stomach or diarrhoea. This illness can occur when travelling to most destinations, and symptoms include cramps, nausea, vomiting and diarrhoea. The illness can be caused by a new diet, the change in climate, lack of sleep or dehydration from flying. However, the most common cause is bacteria so it’s advisable to skip the ice cubes in your drink, avoid salad and raw foods in developing countries, and stick to bottled water rather than drinking from the tap abroad. Traveller’s Tum is easily treated and shouldn’t hinder your holiday if you do find yourself suffering a bout of this. 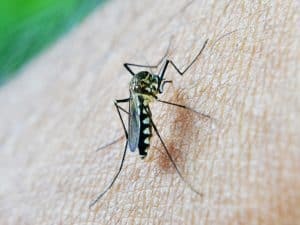 Malaria is a disease spread by mosquito bites, and is common in Africa, Asia, parts of the Caribbean, Central and South America, and parts of Eastern Europe. If you spend more time outdoors, for example camping, you are at higher risk of catching this. The good news is, you can reduce the risk of catching malaria while on holiday by taking the relevant medication before, during and after your trip. In addition, travellers are advised to cover exposed skin with long-sleeved shirts, long-pants and hats, use an insect repellent, use a bed net and sleep in screened or air conditioned rooms where possible. Typhoid fever is a serious disease, spread through contaminated food and water. It’s most common in Asia, Africa and Latin America, with south Asia the highest risk area for typhoid. The main symptoms are lasting fever and stomach pains, a headache, loss of appetite and weakness. We offer a typhoid vaccination at Glasgow Medical Rooms which can help protect against catching this disease. If you’re travelling to a country where there may be a risk of typhoid, you are generally advised to get vaccinated before you go. For more information on this, please get in touch. Even if you are vaccinated, you should still exercise caution when it comes to eating and drinking on your trip. Eat safe foods which are cooked and served hot, pasteurised dairy products and fruit or vegetables you have washed and peeled yourself. Avoid street vendors, raw or undercooked meats, fish and eggs, room-temperature foods, salads and unpasteurised dairy. Again, it’s preferable to drink sealed, bottled water over tap water, and avoid ice or drinks made with tap water. Sealed fizzy drinks such as coca-cola are also safe to drink. 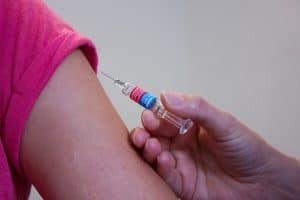 For more information on the holiday vaccination and travel services we offer at Glasgow Medical Rooms, please email info@glasgowmedicalrooms.com and we’d be happy to help.